Join us for our Second ever Second Saturday event this Saturday starting at 10am. 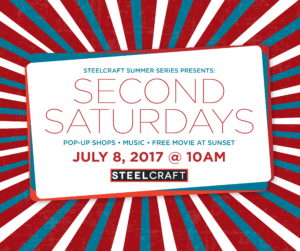 We will have pop-up shops from 10am-3pm, live music ~5pm, and a screening of The Sandlot at sunset. Check out this post from June for everything you need to know and join the Facebook event here! We can’t wait to see you all on Saturday.